1 Blanche the spinach in boiled, salted water. Drain well, wring out, and chop. 2 Fry the onions slowly in 2 tbsp oil for approx. 8-10 minutes. 3 Season the tomatoes and chops with salt and ground black pepper and fry in a grill pan with the remaining oil for 5-6 minutes. Turn once. 4 Stir the garlic and spinach into the onions and fry for 1-2 minutes. 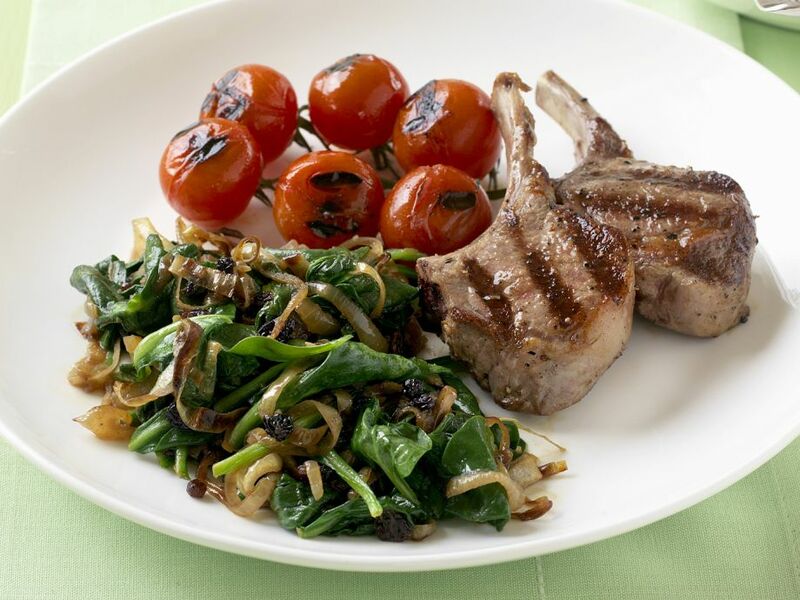 Season with salt and arrange on plates with the chops and the tomatoes.